Marta first fell in love with theatre during her high school years in Poland and is now an international artist and producer. She has a B.A. in Theatre Directing from the prestigious Columbia College Chicago and M.A. in Arts and Cultural Management from Queen Margaret University in Edinburgh. 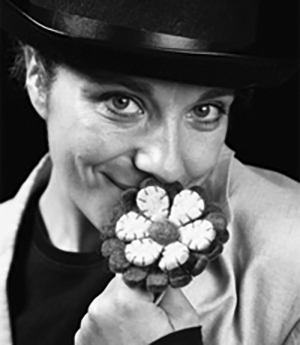 Marta holds multicultural and international collaborations to a very high regard in her creative practice and has led a number of theatre and writing workshops in the United States, Poland, and Scotland. Selected directing credits include Out at Sea (Chopin Theatre, Chicago), The Adding Machine, and Wild Honey (both at Columbia Studio), Enchanted Night (independant project), Tango (Ramshorn Theatre), Adventures of the Little Prince (Asylon), Pet Shop (Traverse), I've Been Looking For You My Whole Life (a series of solo pieces performed on buses), and two works for young audiences with ecological themes: Fraxi Queen of the Forest and Home Sweet Garden. 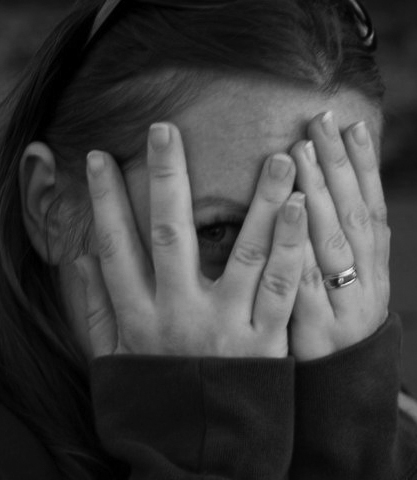 She also assistant directed to Orla O'Loughlin for the Traverse Theatre's The Artist Man And The Mother Woman. As a producer Marta has also worked with Ankur Arts, Edinburgh Mela Festival, and others. French-born Agathe has been living in Scotland since 2000. She trained in Contemporary Dance at the Scottish School of Contemporary Dance. Her collaboration with Asylon Theatre started in 2012 when she played the Little Prince in the Fringe Premiere of 'Adventures of The Little Prince’. She has also performed a solo piece on a bus as part of I’ve been looking for you my whole life project. Her latest part was Fraxi the ash tree in the company’s hit dance theatre piece Fraxi Queen of the Forest. A versatile performer, choreographer and dance teacher, Agathe also creates work under the name Heels Over Head Dance Theatre. Robin is a graduate of the Royal Conservatoire of Scotland with particular interests in storytelling and immersive theatre. He has toured Scotland with Scottish Opera, Theatre& and the Edinburgh International Science Festival. 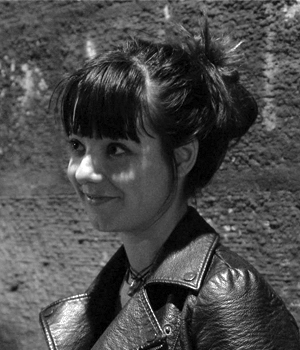 Recent credits include Daphne Oram's Wonderful World of Sound, Better Late Than Dead On Time and the site-specific Everyman at The Real Mary King's Close. 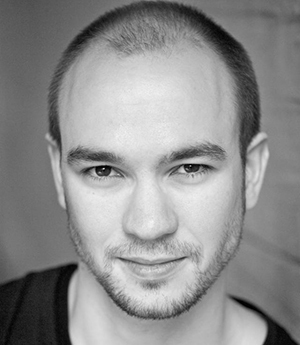 He has attended residencies at Shakespeare's Globe, the Tron Theatre and the CrisisArts festival in Italy. With Asylon Theatre Robin performed 7 different parts in Fraxi Queen of the Forest and most recently was part of Home Sweet Garden production. Robin is also an ensemble member of Company of Wolves..
Raymond is a multi-instrumentalist & composer from Co. Cork, Ireland. He has worked extensively since his teenage years in many projects around the world before returning to his home town where he studied Music at University College Cork, graduating in 2010 with First Class Honours. The following year he obtained an MSc in Film Studies from the University of Edinburgh, & decided to stay in the city. His 2013 solo Edinburgh Fringe show, "For the Love of Folk", was described as "flawless" & "captivating" (Three Weeks Magazine ****). He has also been a long-time collaborator with TBC Improv on their annual sold-out festival runs. For Asylon Theatre Raymond created original scores for Touch and Home Sweet Garden. 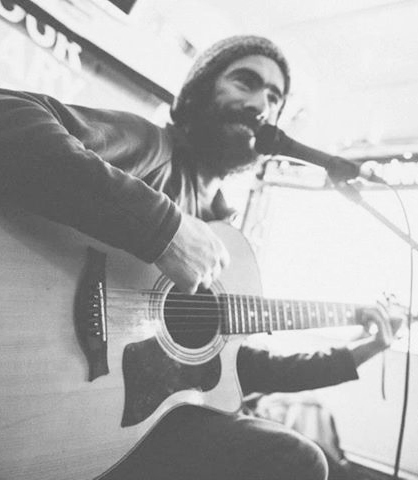 Raymond currently works in Edinburgh as an in demand performer, composer & teacher.